Over the years, we have expanded our line of extra virgin olive oils to include many single varietals and flavored oil options, but decided it was time to also offer an extra virgin olive oil blended specifically to use every day in the kitchen. It’s an exceptionally mild oil with a light, fruity aroma, no bitterness and little pungency. Its soft tone is ideal for use in baking, or when a stronger flavor might overpower delicate vegetables and lettuces. The blend of Mission and Manzanillo fruit comes from a traditionally farmed orchard high in the hills above the sea in northern Baja California in the heart of the wine country. 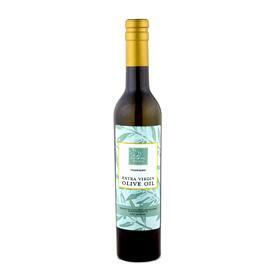 Our new Kitchen Blend Extra Virgin Olive Oil is available in The Olive Oil Source Boutique and The Olive Oil Source Wholesale Store.